Mini Convertible Running Costs, MPG, Economy, Reliability, Safety | What Car? 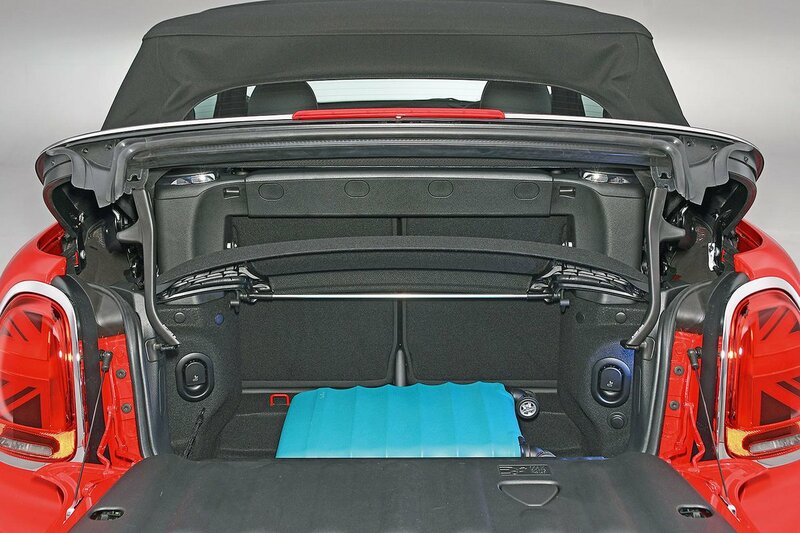 The Mini Convertible isn’t a particularly cheap soft-top, especially by the time you’ve added some must-have options. Also, if you’re hoping for a big discount, you’ll be disappointed; Mini salesmen are notoriously tight-fisted. It’s perceived as a premium product and priced accordingly, but it can still make financial sense because few cars in this class hold their value as well. Contract hire and company car tax bills are extremely competitive, and there are some very attractive finance packages to be had. We’d recommend paying a nominal one-off fee for Mini’s TLC package, which covers routine servicing costs for three years or 36,000 miles. In line with the hatchback model, the Cooper model gets 15in alloy wheels. 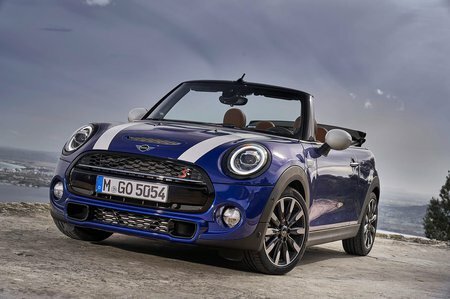 Cooper S models, meanwhile, get 16in wheels, different interior trims and an engine scoop in the bonnet, and the hot John Cooper Works version features further sporty cosmetic alterations and sports suspension. In addition, JCW cars have Mini Driving Modes as standard, featuring three variable settings. There are three trims to pick from for the Cooper and Cooper S; Classic, Sport and Exclusive. 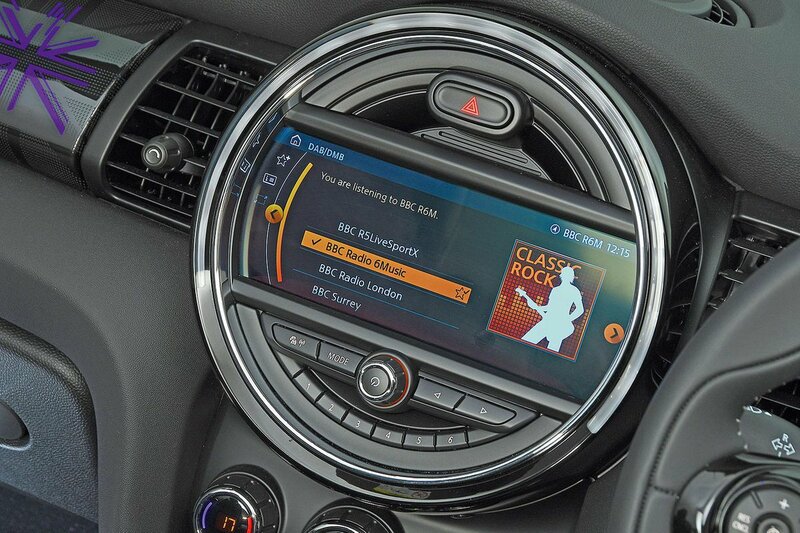 Classic gets an electric soft-top, front and rear LED lights, rear parking sensors as well as a 6.5in infotainment system with a DAB radio, Bluetooth and a USB port. Sport is all about racy looks with the only useful bit of additional equipment being cruise control. Exclusive is the same price as Sport and while it does without the sporty looks, the cruise control, leather seats and chrome trim makes it worth considering if you want a little luxury. You do have to go to the options list for more advanced functions, however, such as adaptive cruise control, automatic emergency braking and a rear-end collision-warning system. Mini finished a 22nd out of 31 manufacturers in our latest reliability survey, and while the convertible model wasn't assessed, the hatchback version (both three-door and five-door) clocked a similar mid-table finish in the small car class, just behind the Audi A1. It is a good idea to add the TLC package that covers routine servicing costs for three years or 36,000 miles for a one-off fee. The Mini Convertible hasn't been tested by Euro NCAP, and although the Mini hatch scored a reasonable-sounding four stars out of five, that was back in 2014 and things have moved on dramatically in testing since then. And because the convertible structure is so compromised relative to the hatch, using that rating as a measure is largely pointless.